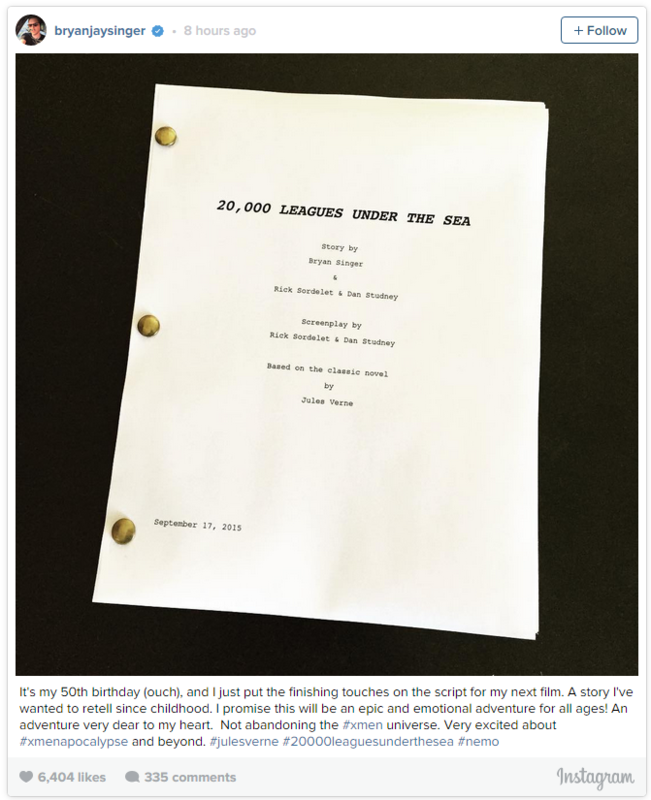 Bryan Singer Announces His Next Project On Instagram!!! 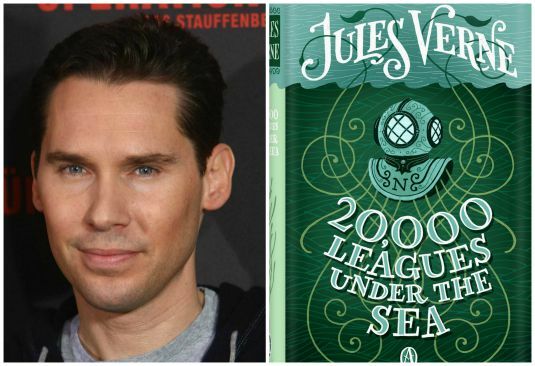 Bryan Singer celebrated his birthday by announcing his next project that is very dear to him, ‘20,000 Leagues Under the Sea‘. The filmmaker wrote the script which is a version of Jules Verne’s famous story that has been re-told time and time again. The novel, penned in 1870, has withstood the test of time incredibly well. It’s full of scientific theories that are still relevant today and Verne’s knowledge of submarines, which were at the time incredibly primitive, are all points that keep new generations interested year after year. “I promise this will be an epic and emotional adventure for all ages! An adventure very dear to my heart. Not abandoning the #xmen universe. Very excited about #xmenapocalypse and beyond. #julesverne #20000leaguesunderthesea #nemo,” he added. This will, of course be after a studio has signed on for the property and after ‘X-Men: Apocalypse‘ has wrapped it’s production. The latest in the X-Men franchise is slated to hit big screens in May of 2016. This entry was posted on Thursday, September 17th, 2015 at 9:10 pm	and is filed under Books, Film, News. You can follow any responses to this entry through the RSS 2.0 feed. You can skip to the end and leave a response. Pinging is currently not allowed. « Ice Cube Set For ‘Humbug’ From Universal!! !